THE Canberra Greyhound Racing Club is confident racing will continue to operate in the ACT past July 1, 2017, despite the state Labor government’s attempts to thwart the industry by axing all funding. The government provides approximately $8 million annually to the ACT racing industry, a figure settled upon as a way to replace the money being filtered back to the three racing codes by ACTTAB, which the government sold to Tabcorp. Canberra Greyhound Club recently lodged an injunction aiming to stop the cessation of government funding as of the new financial year, a move which would see payments stopped to both harness and thoroughbred racing as well. The Canberra Greyhound Racing Club is arguing that funding cannot be stripped from one code of racing alone based on the current legislation. “If they chose to cut funding to greyhound racing, our legal argument is that they must cut funding to the whole racing industry,” Club spokesperson Kel Watt told Australian Racing Greyhound. “Under the legislation, the memoranda of understanding, the references in parliament and the various independent and government inquiries conducted over the years, they always talk about one racing industry – not three separate industries. “The funding from the government of $1 million a year is actually a guaranteed property right – and property can not be taken away from any individual or organisation without compensation – but they are not offering that. “The injunction that we are seeking should at least in the short-term stop the government from committing to funding thoroughbred and harness racing without the greyhounds being involved. Based upon the injunction, funding would only recommence to the other codes when the courts make a decision on the fate of the club or when the government decided to reverse its policy to end greyhound racing. 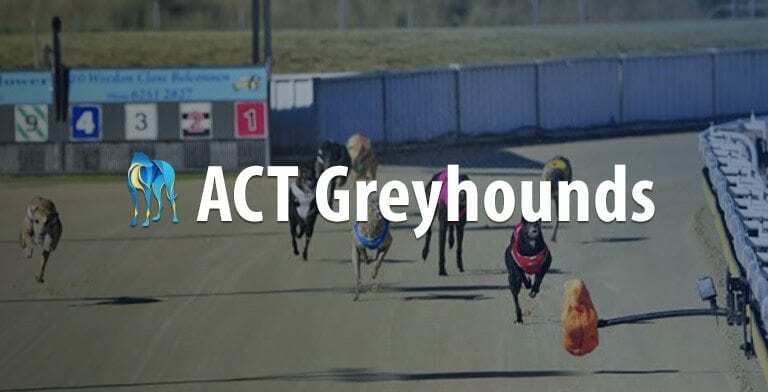 The injunction is the latest chapter in what has been a rocky relationship between the greyhound racing industry and the ACT Government. The Canberra track was given the green light back in 1979 by the Federal Government, which governed the ACT at the time. During the negotiations the Industry agreed to maintain a high standard of welfare and integrity. Nearly 40 years later, the ACT greyhound industry is squeaky clean, with no major scandals, or findings of animal cruelty or integrity breaches. But this has not stopped the naysayers with the Greens, who hold the balance of power within the ACT local assembly, attempting to shut down the sport for several years. “In February 2016 the RSPCA and the Greens petitioned and campaigned for the end of greyhound racing in the ACT – at that point the club met with both the ACT Labor Government and the Liberal Opposition and received assurances from the Racing Minister and the Shadow Racing Minister that the industry had their ongoing support,” Watt said. “In June 2016 the budget hearings were held where community organisations who receive funding could meet with the government – including the greyhound industry and the RSPCA. “Under privilege the RSPCA made a number of accusations against the greyhound club. But in response the Racing Minister at the time Mick Gentleman released a public statement announcing that the ACT government would continue to support racing and the funding of greyhound racing in Canberra. “Fast forward to July 7 and the NSW Premier made his announcement regarding the NSW ban. Since that time, Watt says there have been eight policy changes relating to the cessation of greyhound racing within the ACT. As it currently stands, the sport will not be outlawed on July 1, 2017, however the government will no longer be providing $1 million in funding annually, approximately half of the Club’s funding. Watt said greyhound racing had been hoodwinked by a Labor government hellbent on maintaining the balance of power in the Lower House. “They are still saying they won’t make greyhound racing illegal, they won’t ban it, but they believe that by cutting funding the club will be unable to operate,” he said. “It’s a backroom deal between the ACT Chief Minister [Barr] and the Greens who are pushing a policy and campaign based on lies and deceit – all of which has been run by extreme animal activists. Watt said the way the government was handling the situation showed “terrible governance” with a lack of consultation with the industry one of the key concerns. He said the government was building a transition team to help people out of a job because of the demise of the industry, but were yet to give a clear verdict to participants and the public on the future of the sport. “If you ask the government right now what their policies are on re-homing, welfare or workers [who will be losing their jobs] – they don’t have the answers,” he said. Watt said it is unfeasible that the ACT government can improve welfare outcomes by axing the industry, considering that the vast majority of the dogs which compete at the track are trained in NSW. “If racing was to stop in the ACT tomorrow the vast majority of dogs would continue to race in NSW,” he said. Despite the challenges facing the club, Watt said the ACT industry is committed to continuing, although he is wary of what may transpire with the state’s government. “In the immediate term we are commencing a legal fight to maintain the government funding which we were guaranteed after the sale of ACTTAB under legislation,” he said. “Long term we will be continuing to race and we are re-structuring to ensure we are not coming to an end – we are also committed to avoiding almost 50 local job losses as a part of that re-structuring. “The government are on record saying they won’t ban the sport, but our great fear is that if we do prove successful in self-funding, that the government will then try and make it illegal. Watt is calling on greyhound racing participants to stand in solidarity with the ACT as they fight for the state’s future, warning it might be their state next. “It’s no good say ‘oh it’s just Canberra’,” Watt said. “It doesn’t matter if it is one of the big states like NSW or Victoria or one of the tiny industries such as the Northern Territory or Canberra – once one goes then it will be the start of the end. Wouldn’t you just hate to be a politician beholding to the greens. Ouch!! Let’s hope this doesn’t go beyond July 1.